II did not choose these colors randomly. They were specifically chosen to match a tufted headboard for a tween girl in a VERY well styled beach house! 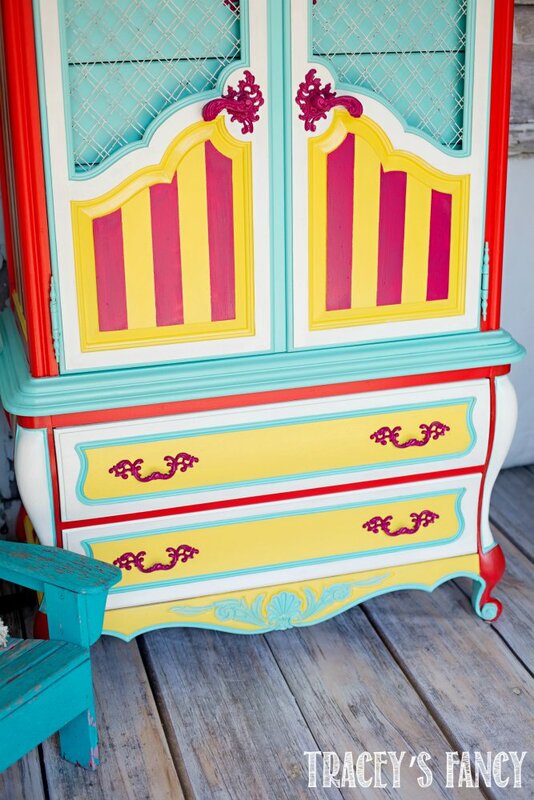 This bright and bold piece is NOT meant to satisfy the masses! It is very taste specific…..I am aware! But I have to say….it is fresh….and fun….and so much better than the “hardly noticeable” before piece. 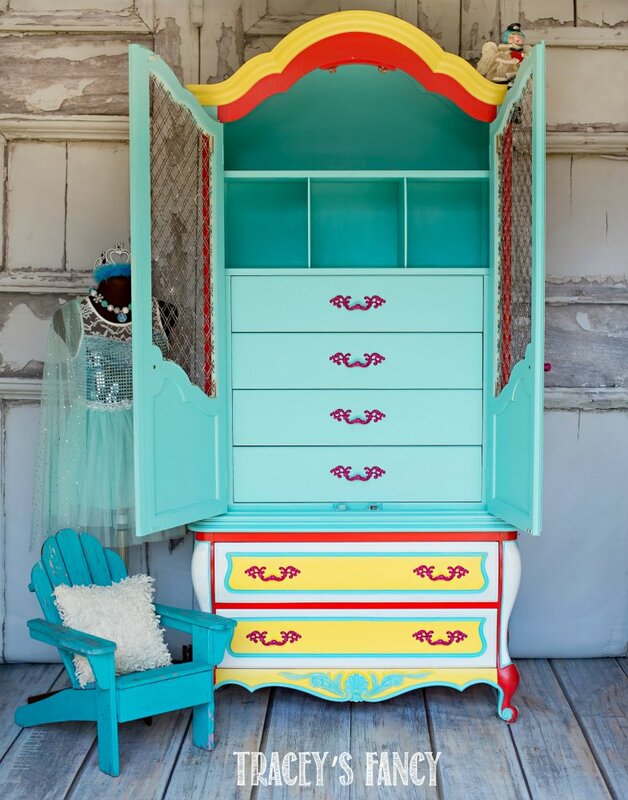 I love the fuschia handles against the turquoise drawers. I love the mix of fire red and fuschia….it’s so unexpected! 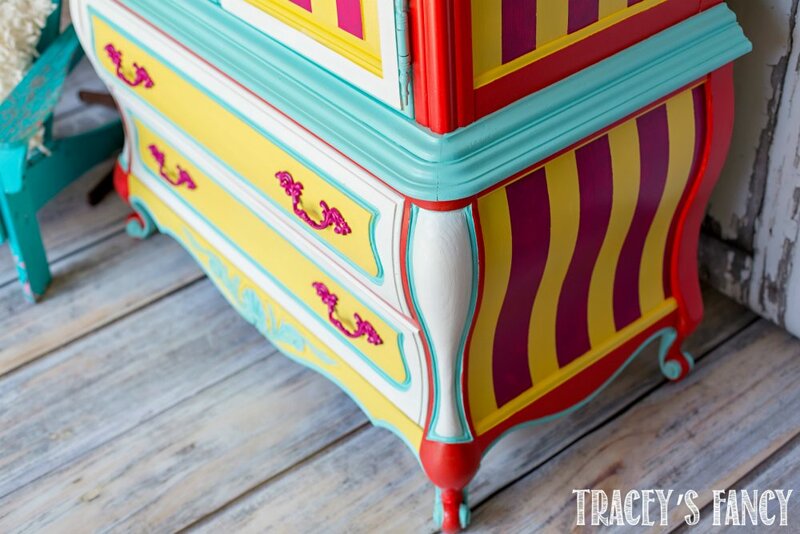 Every detail on this piece has now been highlighted…..and that is so important in furniture design! 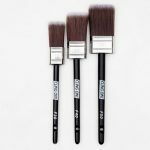 These are the paints and colors that I recommend to you to use to achieve this same look. Dixie Belle Paint company offers amazing products that will make all of your projects successful no matter what your skill level is! Next week I’m painting something super cool!! Sign up to get my emails here. 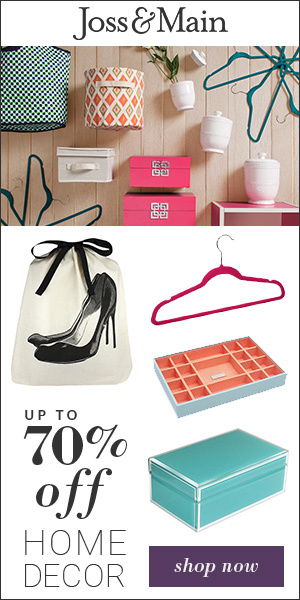 (And make sure you check your promotions folder, and drag it into the inbox folder if you’re a gmail user so you won’t miss it! 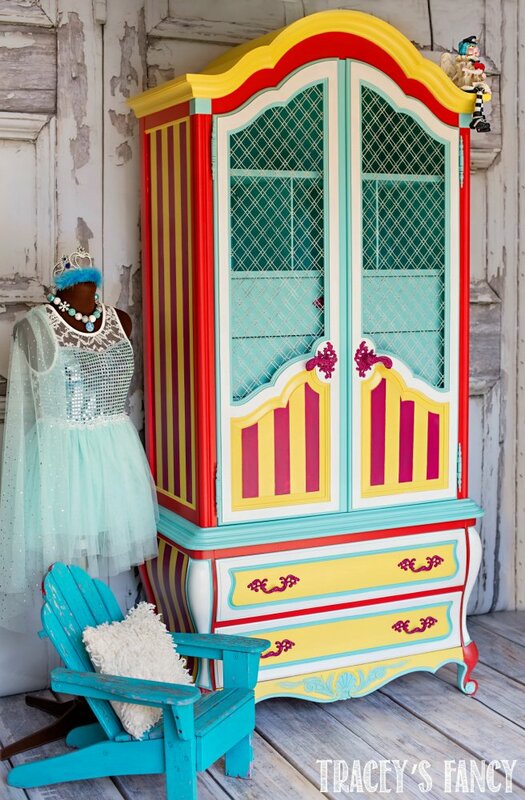 Please Pin my Circus Armoire to your Pinterest! Thank you! You can also follow me on Pinterest while you’re at it! Dare I say it, you light up my life! Spectacular job! Thanks for your kind words! It was a fun one to paint to say the least! I wanna buy this so badly!!! LOL! I can feel your excitement!! I loved painting this piece….twice! Thank you for reading and even commenting! It is so nice to know there really are people out there!